CCE is… you can say a new Hybrid way to connect your on premise to office 365. 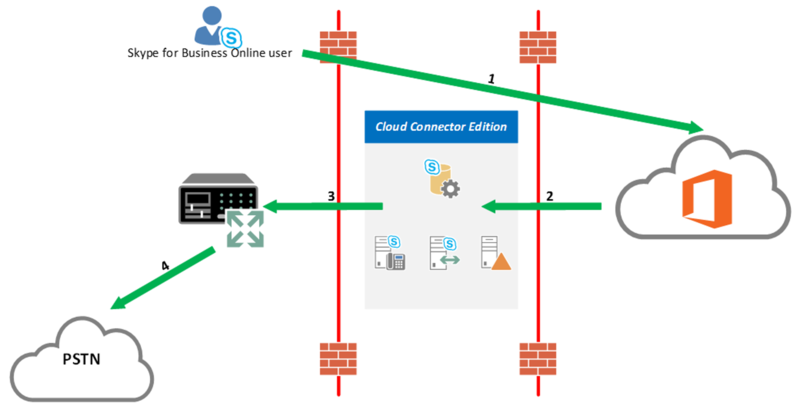 Let’s say that a customer or your organization is using Skype for Business online without PSTN functionalities and without an on premise Skype for Business infrastructure did you pay attention to this 🙂 one more time “and without an on premise Skype for Business infrastructure”, but they do have an on premise PBX infrastructure that allows the users to have PSTN functionalities. with CCE you can now connect your Skype for Business online to your On-premise PBX infrastructure without any additional costs or licenses or the need to have a hybrid deployment with an on premise Skype for Business infrastructure. CCE is a downloadable package from Microsoft that consist of 4 virtual machines running on Hyper-V, those 4 VMs will be deployed in the organization DMZ connecting the On premise PBX infrastructure to the Skype for Business Online allowing the users to make calls using their SfB clients. No it is not stupid and stop freaking out 🙂 , the domain controller is not your company’s domain, and your AD is not going to be on the DMZ, the DC coming in the package has its own forest preconfigured, no connection to your on premise AD is needed, and also it does not affect your Azure AD. Active Directory services and Active directory Certificate Authority for CCE containing some groups and settings needed by CCE to work. CMS Replica: replicate configuration from the global CMS DB on the CMS Role server. One large CCE instance support up to 500 concurrent calls, so one site with 3 CCE can support up to 1500 concurrent calls, if more is needed you need to deploy another PSTN site.